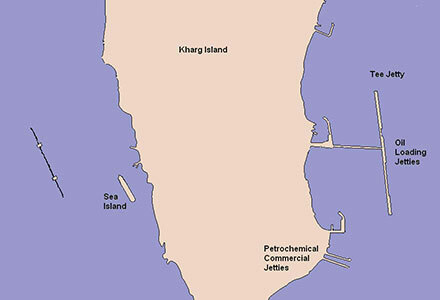 RECOMMENDED APPROACHES: Vessels approaching Kharg from the south, should keep at least four km. to the east of the Island. 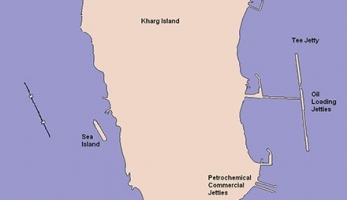 Vessels approaching Kharg from the north should keep to the west of the island, (outside the restricted area) as Khargu Island to the north, is very low lying and difficult to see at night until dangerously dose to. The Oil Company’s SIX BERTH “TEE” Oil Loading Jetty is located on the central east coast of the Island, and the SEA ISLAND three berth loading Facility is located close to the west coast of the island. 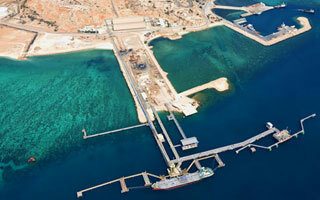 Average rate of loading at T-Jetty varies between 3,500 and 9,000 MT/Hour. At T-Jetty, vessels are normally berthed on their starboard side, except at Berth No.6 where vessels are berthed portside. 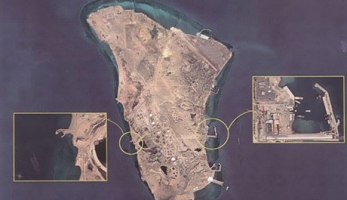 Situated at the Westside of Kharg Island, Sea Island consists of 3 operational berths capable of accommodating vessels of all sizes including ULCCs. At Berth No.11 vessels are normally berthed on their Portside and at berth No.15 starboard side, while at Berth No.12, they can be berthed either portside or starboard side. 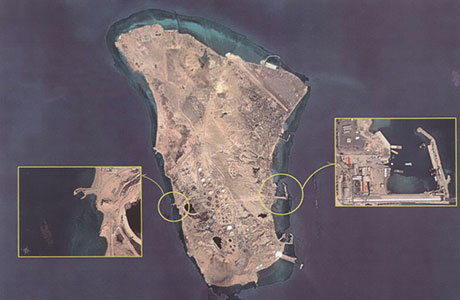 A combined LPG & Sulphur loading berth exists on the south east corner of kharg Island. Single berth (LOA: 1180 & Beam: No limitation) with depth alongside 12 m consisting of one main and eight mooring dolphins can accommodate vessels of about 40000 tons dwt for loading of Crushed Sulphur and LPG.